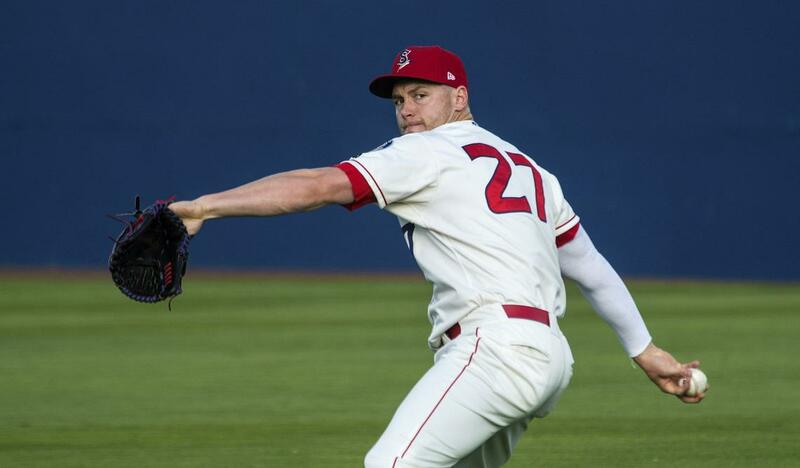 PALM SPRINGS, Calif. – 2016 CWL pitcher, Kevin Lenik, received a notable minor league accolade last week while playing for the Spokane Indians (Class-A affiliate of the Texas Rangers). Lenik was named Northwest League Player of the Week after tossing 7.1 innings of shutout ball, allowing just one hit and one walk while striking out nine. This accomplishment is even more impressive when considering Lenik wasn’t playing affiliated baseball as recent as this past February. 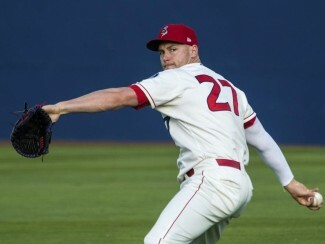 A converted outfielder, Lenik came to the California Winter League in January of 2016 in order to display his skills as a hurler in front of professional instructors and scouts. The decision to come to Palm Springs paid off as he caught the eye of Texas Rangers scout, Rick Schroeder, who signed him to a contract out of the CWL. Lenik was able to net his opportunity with the Rangers through a strong showing during the 2016 CWL season. 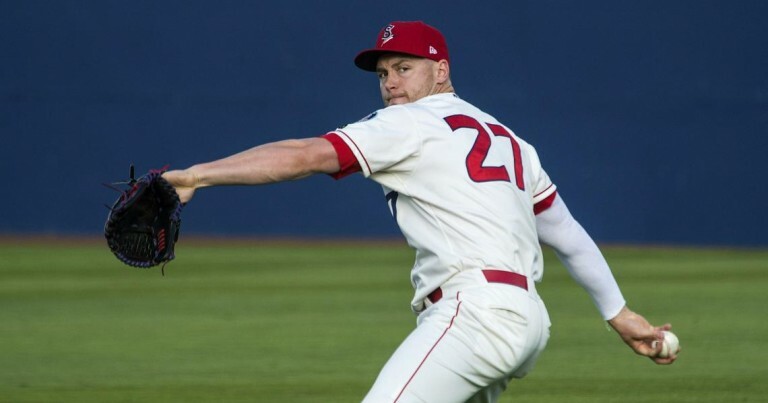 The righty posted a combined 1.75 ERA with 27 strikeouts while pitching for the Palm Springs Power and then the Washington Blue Sox (mid-season trade). Lenik’s story is another great example of how the California Winter League opens the door to professional ball for players from different skill sets and backgrounds, offering an opportunity to showcase their abilities in front of the scouts and managers that can sign them. For more information on how to join the 2017 California Winter League, you can call general manager Pete Wagoner at (760)778-4487 or email him at pwagoner@californiawinterleague.com.